There is a need for fresh, organic produce in our urban communities. It is so sad to see a lack of healthy food in the areas that need it most. We know the power that real health foods have on our bodies and minds, yet, it is not easily accessible or affordable in certain areas. Thankfully we have people in this world who see a problem in their community and make sacrifices to help their neighbors and loved ones learn and live better. Right in the heart of York City is Healthy Living Foods LLC., founded, created, and owned by Erick Negron. It was easy to get Erick talking about Healthy Living Foods. He is so passionate about helping his community learn the truth about what we eat and how it affects us. His knowledge about health and wellness is like second nature for him. We spoke for an hour or so and I was able to get more insight and understanding of his mission for this business, as well as get to know a little bit about the great mind behind this movement. Erick was born in Puerto Rico, but has been living in York since he was five years old. In 2012, he began his journey to a better, healthier life. He started reading a lot and learning more and more about the body and spirit. He calls that portion of his life the “awakening age”. After gaining all of this knowledge, he decided to stop eating meat and begin his transition to a plant-based lifestyle. Over time, Erick continued his education process by reading more and watching health and food documentaries. He was also working at Price Rite and for a wholesale florist that he credits for the foundation of his knowledge on produce and pricing. Three years ago, though, he started working at York Fresh Foods Farms where he learned how to grow organic, unprocessed fruits and vegetables. York Fresh Foods Farms is York City’s first urban farm. This is where Erick adopted the title of urban farmer, because they “farm in the hood.” Erick is now the Assistant Farm and Markets Manager at York Fresh Foods Farms. He believes that “growing food is taking control,” and at York Fresh Foods Farms, he is able to show and teach people in the community about plants and the Earth. Besides being able to help open people’s eyes and give them the opportunity to save money by cutting down on groceries, Erick is mostly motivated by his son. He sees the education process, school lunches, and the way advertisements target children. Our society and the education system don’t promote true health. As a mother, I completely understand Erick’s fear. Our kids can end up detached from themselves and desensitized from what we are doing to our planet, our animals, and ourselves. It is important for him to be a good role model for his son by continuing his journey of learning and becoming the best version of himself. It has only been a little over a year since Erick started Healthy Living Foods, but it is quickly growing into one of the most popular up-and-coming businesses in York, PA. He started by selling produce in his garage and slowly built up from there. All of the produce either comes from a wholesale distributor in Philadelphia or right from York Fresh Foods Farms. Through his business, his managerial position, and his Facebook page, Erick is spreading knowledge on the process of life in general by informing people the importance of whole wellness; mind, body, and spirit. 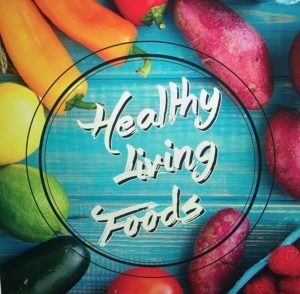 Healthy Living Foods is not just a produce stand, but a movement built to help people everywhere to get back in tune with nature, with ourselves, by simply starting with what we eat. Erik brings fresh produce to several locations in the city. He carries some produce that people may not be familiar with and he is very knowledgeable on the produce. If you live or work in the city it is worth your time to learn the schedule and locations so you can pick up fresh, inexpensive, ingredients that will help you make a healthy meal or snack.